Iceland is a beautiful country with many places to discover. 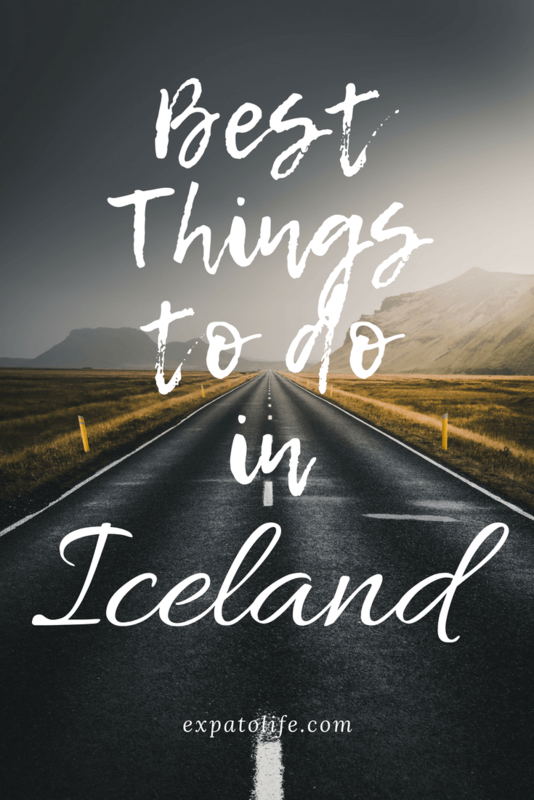 In this article, I share the best things to do in Iceland on a budget, along with tips and tricks. Get inspired to explore Iceland with our Iceland Travel Guide. With the famous Ring Road, Iceland is a popular place to do a road trip. There are several Iceland itineraries, but the most popular ones are the Golden Circle and a road trip to Southern Iceland. 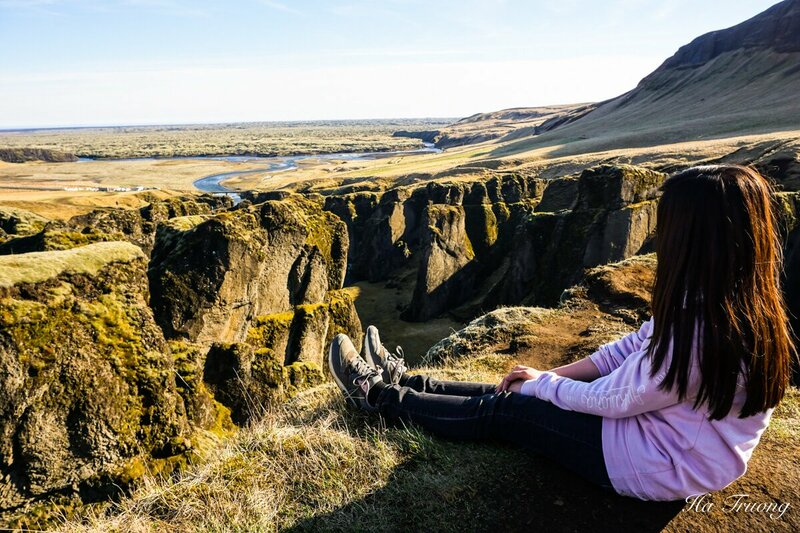 Although there are Ring Road tours or Vik tours, it’s best to travel on your own so you can have your own pace. 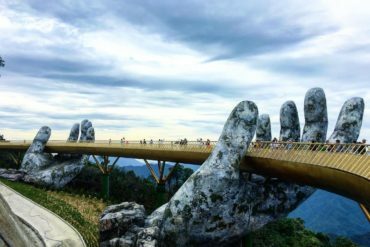 Taking the road trip, you can see how beautiful nature is, and observe the changes in the landscape along the road. Also, by doing road trips on your own, you can save lots of money on tours. >> Book your car in advance with Rentalcars.com with several pick-up locations. 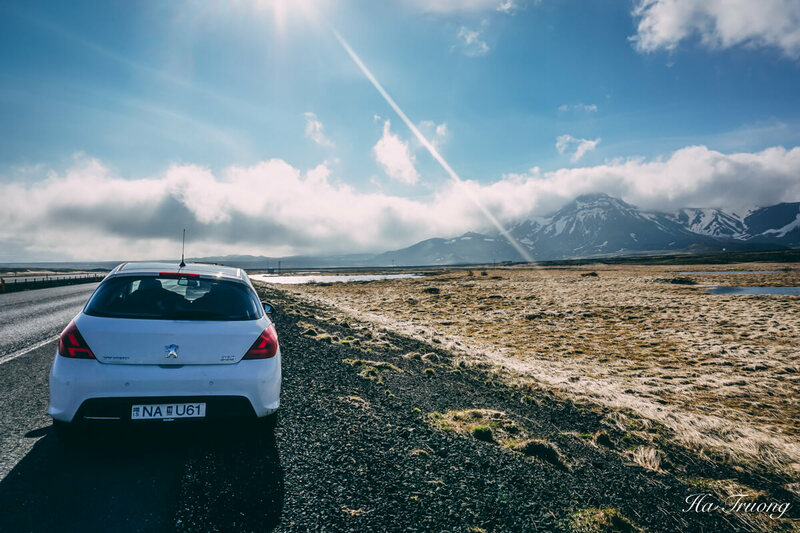 There are things that you should consider on the road in Iceland as well. For example, some roads are closed in the winter, and some are prohibited, or only get permitted to enter by specific vehicles. Therefore, you must check carefully before driving. >> With Rentalcars.com you can book your car with several pick-up locations. If you are traveling solo to Iceland, you should better book tours in advance to explore this land of ice and fire. With many beautiful hiking trails, hills and mountains, Iceland is a great place to go hiking. However, as Icelandic weather is really unpredictable, you might have problems with un-walkable trails and fogs. Where to go hiking in Iceland? There are several places for hiking in Iceland. Hiking to Glymur waterfall, Iceland’s second tallest waterfall, is my favorite. I was there half a day, hiking around the area and exploring nature. Tips: You should bring a waterproof jacket when visiting waterfalls. 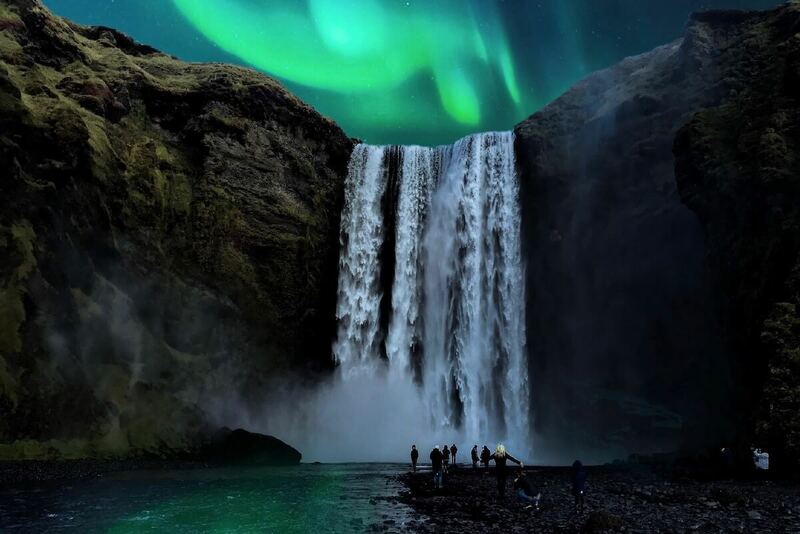 The Northern Lights is always on the bucket list of things most visitors in Iceland would like to experience. From September to the middle of April, when the sky is dark, you may see Northern lights when traveling to Iceland. It depends on the weather, on the clouds, on your luck if you can observe the auroras. Thus, you should check the aurora forecast and cloud forecast to check it in advance. Seljalandsfoss waterfall is one of the must-visit places in Iceland. In addition to the front view, you can walk behind Seljalandsfoss and have a great view through it. Especially, in the late afternoon, when the sun is going down, watching the sunset at Seljalandsfoss is one of the most incredible things to do in Iceland. 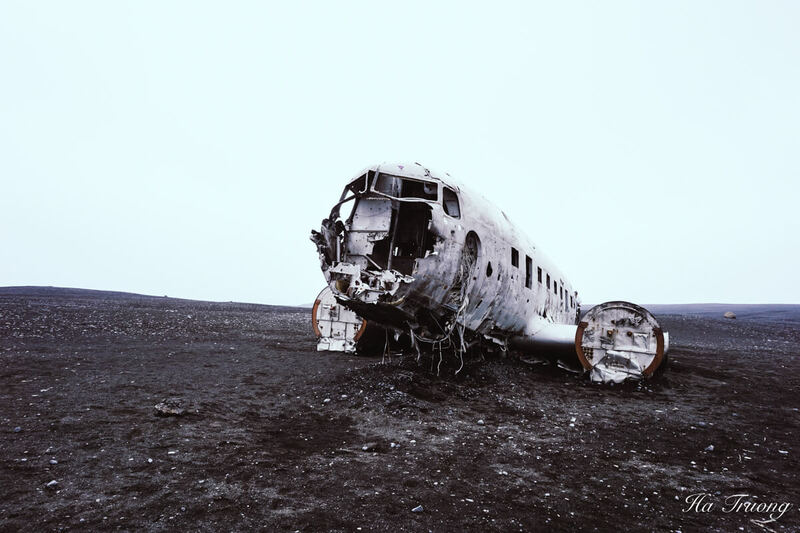 Visiting the abandoned DC plane on the black beach at Sólheimasandur should be on your Iceland travel list. The United States Navy DC plane ran out of fuel and it crashed in the South Coast of Iceland in 1973. There’re tours from Reykjavík to Sólheimasandur, but I drove here by car. After a long walk (around 3km) from the parking lot, you will be able to see this abandoned plane crash. It’s really impressive to observe the current state of the plane wreck and see the impact of time on it. Wandering around the area is great as well. Visiting the hot spring is great when the weather is cold outside. Besides the most famous hot spring – Blue lagoon, you can find other natural ones when traveling in Iceland. For example, you shouldn’t miss the Secret Lagoon when exploring the Golden Circle. Created in 1891, this geothermal pool also has a small dining area and offers a great view of Northern lights during the winter time. 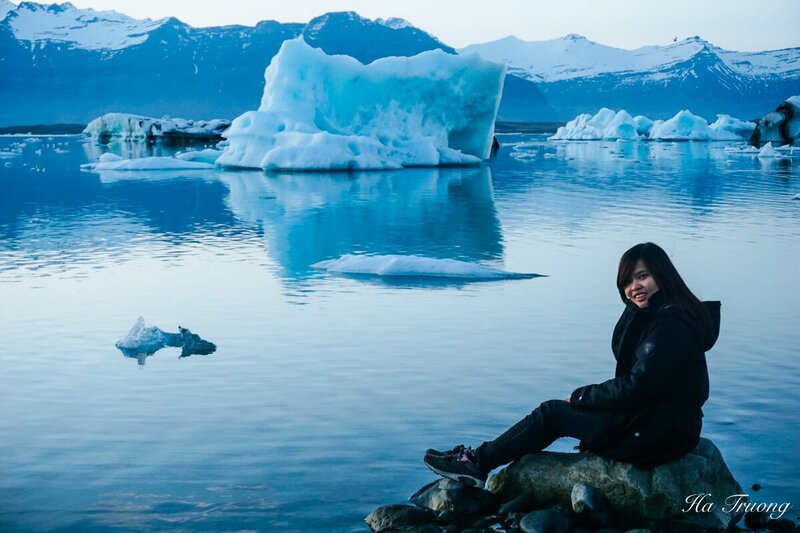 One of the best things to do in Iceland on a budget is exploring the Glacier. I felt like I visited Antarctic when I saw the Iceberg and the Glacier. It was a great experience during my trip to Iceland. You can even hear the sound of when the Iceberg was fallen as well. > Book your car in advance with Rentalcars.com with several pick-up locations. 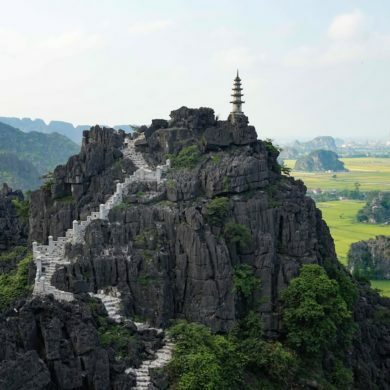 I drove here with friends, but if you would like to take a tour, here are some great options! Iceland is the land of volcanos, so it would be a shame if you don’t visit any volcanic crater during your Iceland trip. 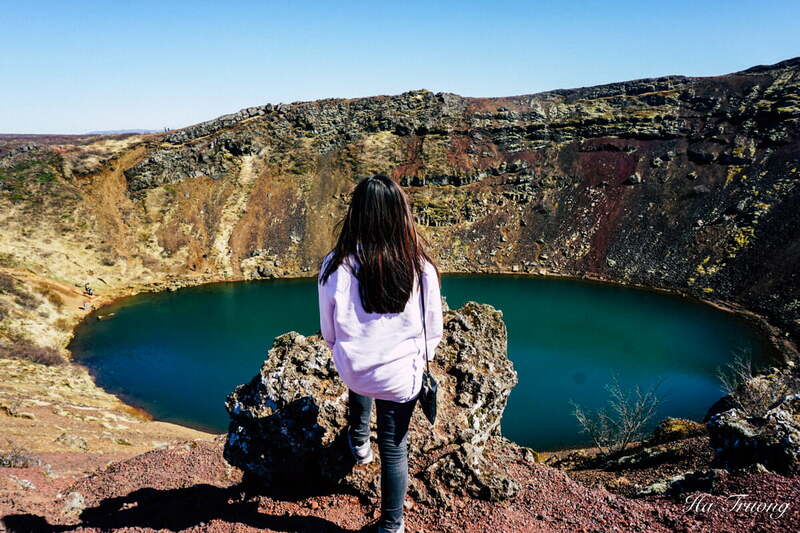 If you’re on your Golden Circle trip, you should stop by Kerið – the volcanic crater lake and spend a couple of hours there. You will need to pay a small entrance fee to visit Kerið, but it is worth every penny. The most famous place for the black sand beach is Vik, a lovely town in the South of Iceland. The back sand originated from the basalt lava that covers much of the area. 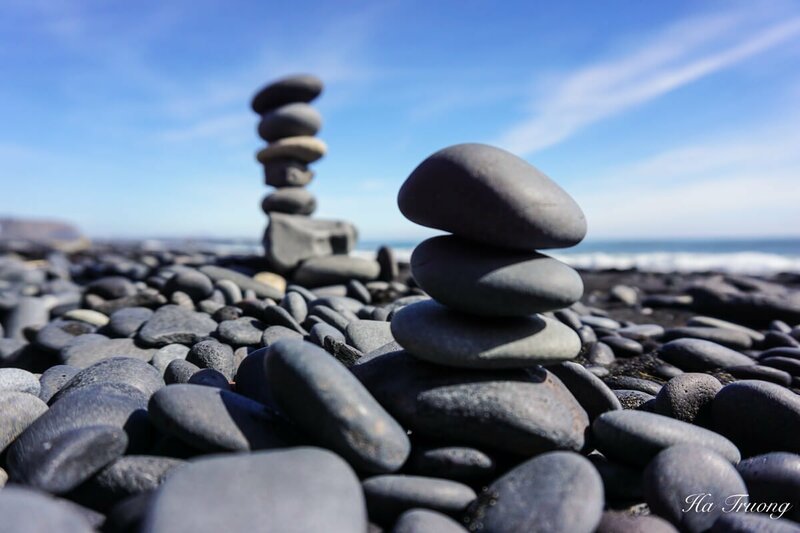 There are several small rocks on the beach, so it’s quite fun to play with them. Below is my picture at Vik. I took one of the rocks to bring back as a gift. Iceland is expensive, and so is the food. However, don’t let it stop you from trying Icelandic specialties. 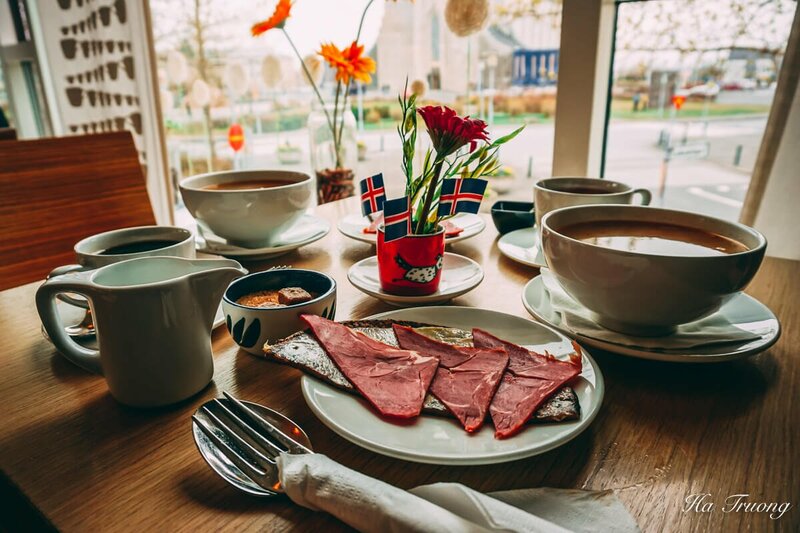 There are many dishes that you should try in Iceland, from the lamb soup to the dried fish. Read this article to know more. 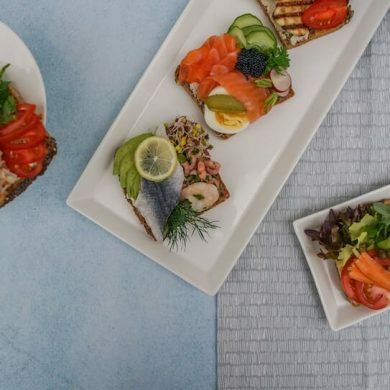 Although eating in Iceland is not budget-friendly, but you should definitely try their traditional food when visiting Iceland. If you travel to Iceland in the spring or summer, you can see the midnight sun. The sun does not seem to come down so the sky is not completely dark at night. I visited Iceland in May and the day was really long. The sky at 10 pm in May is still bright and clear and looks like it was still around the late afternoon. It’s even brighter from June to August, so you may need to adjust to adapt to the environment. The Icelandic Horse is a breed which was brought to Iceland by the Vikings. They are smaller than usual and have pony-size. 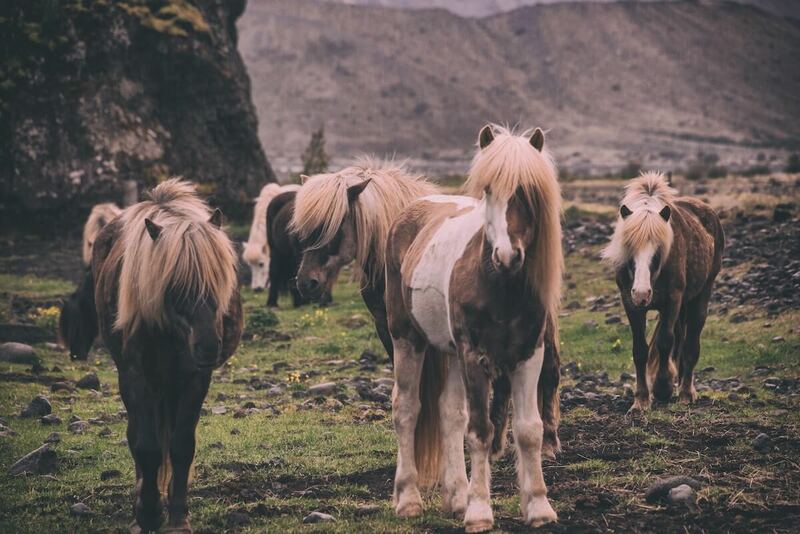 Icelandic horses are super cute thanks to their pony-size and can be found in many places in Iceland. 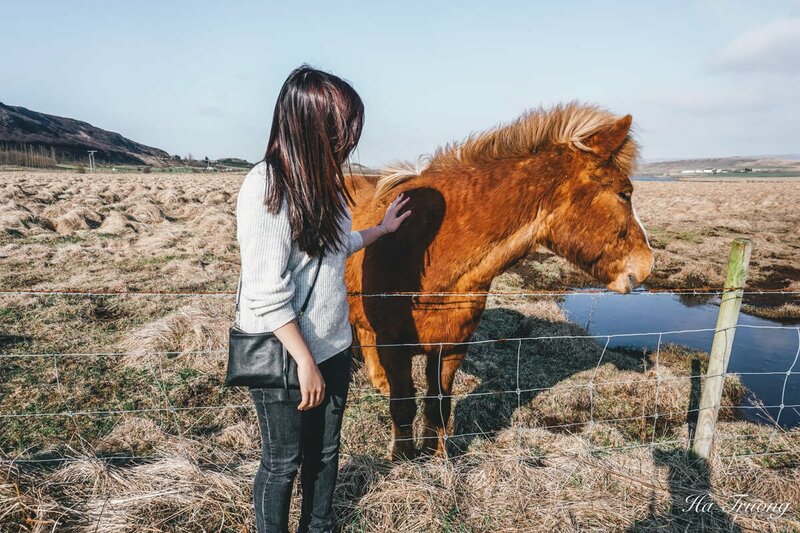 There are several horses farms that offer riding tours and selling horses, but you can see Icelandic horses when taking a road trip in Iceland as well. So, you don’t need to pay the entrance fee but still can pet them. Another tip for traveling to Iceland on a budget, right? Puffins are cute creatures that you can find in Iceland besides Icelandic ponies. From the middle of April to mid-August, you can find puffins in some areas in Iceland. Bonus point: It’s free to watch these cuties! If not, Iceland is a great place to start. As people are friendly and helpful, you can easily get a lift. Also, there are many travelers in Iceland going on a road trip, they may share a seat with you as well. Iceland was the first country that I tried hitchhiking, and I had a great experience with it. With hitchhiking, you can save lots of money on transportation, so if you’re on a budget trip to Iceland, you should consider it. How to hitchhike in Iceland? t first, I thought that it’s not safe to hitchhike, but Iceland’s drivers proved to be the opposite. They are very friendly and helpful. So give yourself a try if you go there. >>If you are not a big fan of Hitchhiking, you can Book your car in advance with Rentalcars.com with several pick-up locations. While during a road trip in Iceland, you can rent a van or a car and sleep in it. Camping is a good way to travel to Iceland on a budget because you don’t need to spend much money on accommodation. 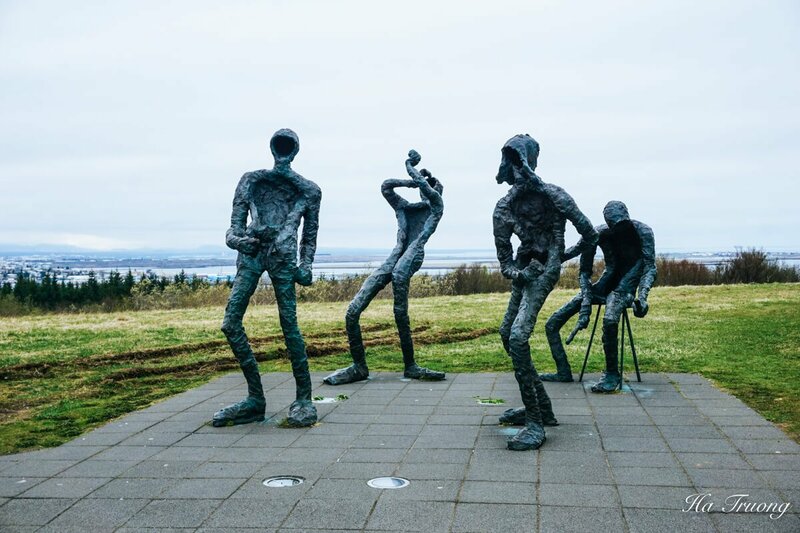 Although the nature in Iceland is attractive, you should not miss Reykjavík – the capital of Iceland. There are several things free things to do here, from walking along the river, chilling at the park, to visiting the market. Reykjavík also has several iconic houses, buildings, and areas. If you’re into photography or just simply want to have some Instagrammable pictures, you should check out the center of the city. Also, there are several tours from that you can do from Reykjavik as well, from Golden Circle tour to South of Iceland in one day. I absolutely adore Iceland, and am lucky to write I’ve done most of these things! The wild horses are so beautiful and very tame too. I didn’t get to see the Northern Lights unfortunately, but that means I have another reason to return and hopefully see them this time! I agree with you. The horses are amazing! Absolutely great list. I like hiking but I never hike out of my country *Indonesia. If I go to Iceland, what is the first recommended mountain I should try? Absolutely loved this post. Iceland has been on my bucket list for ages. 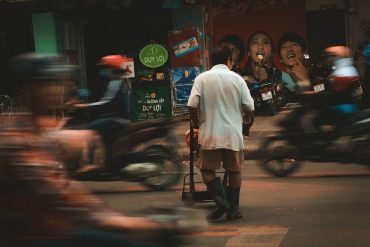 I am soon planning a trip and this post gives me great ideas to plan my itinerary. Will keep this post handy. Thank you. 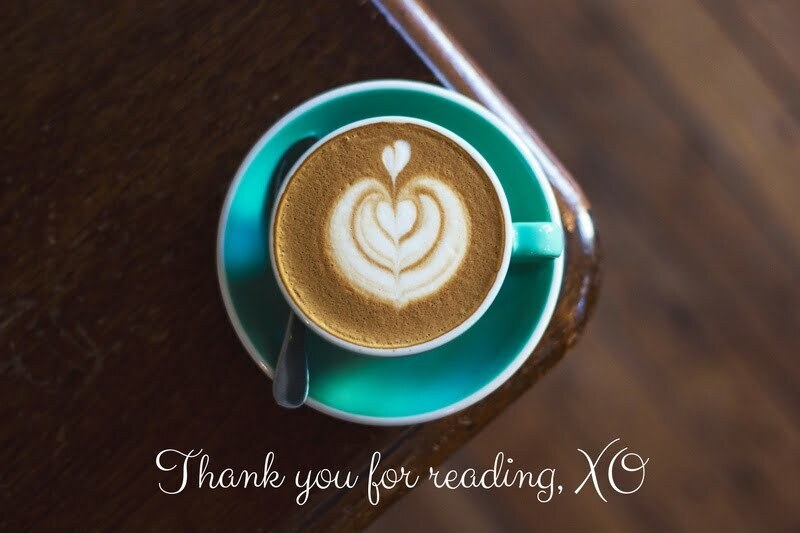 I’m glad that you like the article. Oh wow there’s so many things that I’ve yet to do in Iceland. Visiting that plane, and the glaciers would be awesome. Maybe it’s tjme I headed back to Iceland. The plane and glaciers are really amazing. Hope you can go back and explore them! Iceland has been high on my must-do list for a while now. There is just so much to see, between the hiking, the glaciers, the craters, the hot springs, the Northern Lights – I feel like I would need at least two weeks to do it all! How long did you go for to make sure you got it all in? Thanks! 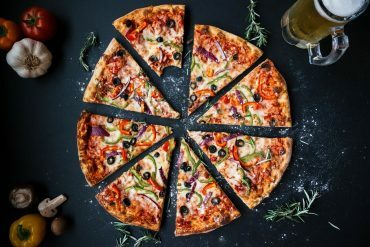 I think this is one of the best articles on things to do in Iceland. I would particularly want to do the road trip on the ring road and do a lot of side activities along the way. Wow! I love this… I have been wanting to go to Iceland for so long now!! 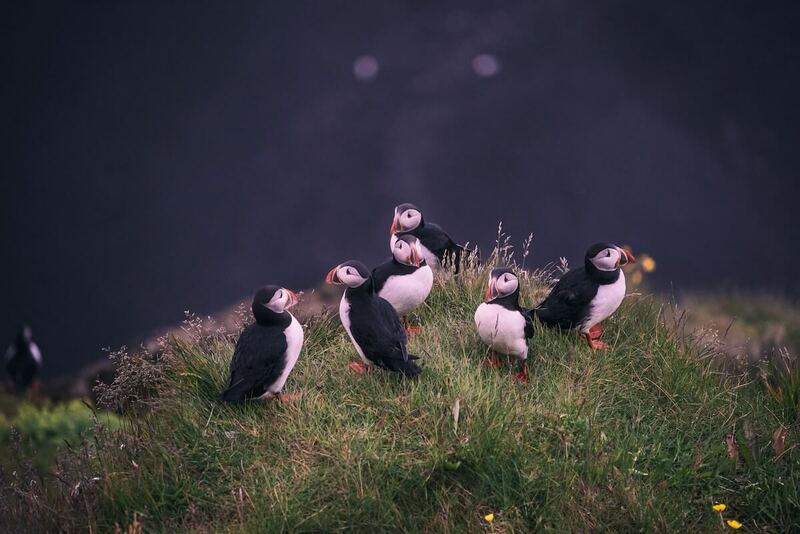 And this is just such a good place to start with the itinerary :) :) the photos are great.. can’t wait to see those Northern Lights… and the puffins look sooo cute, I never knew they existed :) great post! I heard about Iceland many things that It is a very beautiful and wonderful place. I am really curious to go there. I hope will get a chance to go there soon. 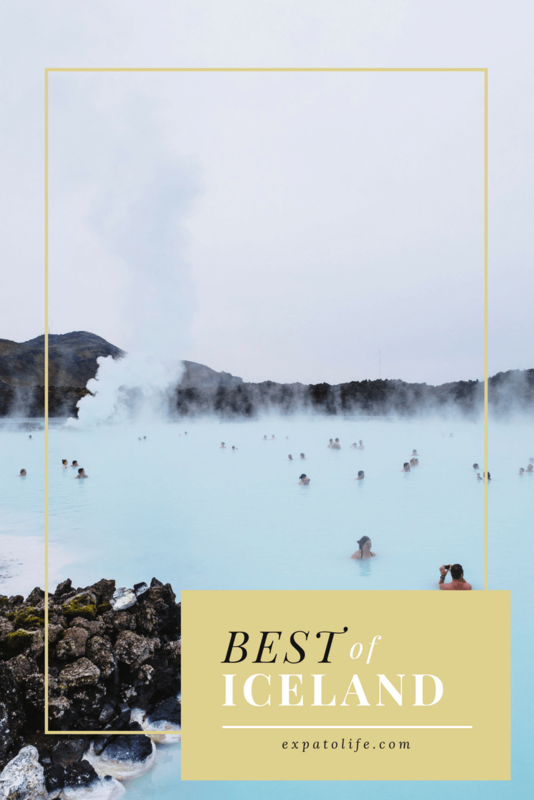 Thanks a lot for this blog, you actually gave me the list of best places to travel In Iceland. Now, I would definitely visit this place. This is very timely as I am making our itinerary for Iceland late this year. Can’t wait to see the Northern lights. I have always dreamed of seeing it my entire life. Great to know that you’re going to see the Northern lights in Iceland. It will be awesome! This is so great, I’ve always put off going to Iceland on the basis that it’s so expensive but this sounds like I could achieve it on a budget! P.s. your pictures are beautiful! 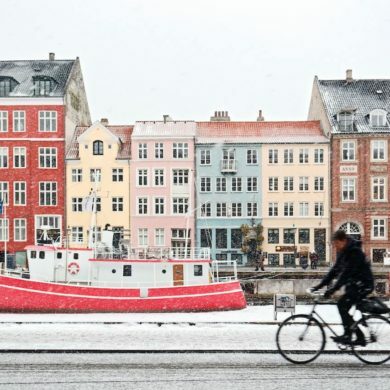 Let’s face it, Iceland isn’t the most budget-friendly of destinations so anyone looking to go there who’s sort of a penny pincher would definitely enjoy this article! The Northern Lights look beautiful and it’s usually one of the main reasons people would want to visit Iceland. 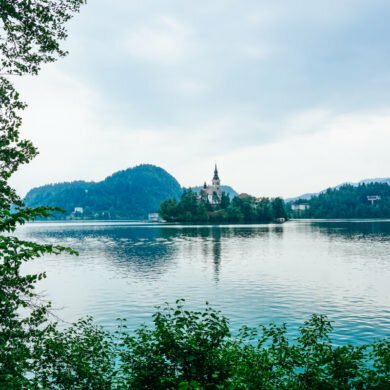 Great tips and anything that’s free but in a new destination is definitely worth the shot.